Our group meets each Tuesday evening at Calvary Chapel (310 W. Hutchison St) from 7:30-9pm. Join us as we enjoy a time of student-led worship, bible teaching, prayer and fun as you meet new friends. Come early for prayer time. (6:30-7pm). PODs are small group bible studies that meet once a week around San Marcos. Check out this semester’s PODs and sign up the right! Our desire isn’t for you to just “sign up” for a POD. PODs are where life-long friendships are born and discipleship begins. It’s where you’ll meet people you can celebrate victories with and walk through the hard times together. Your brothers and sisters will be there to pray with you, laugh with you and get deep into the Word with you. Joining a POD will be one of the best decisions you make in college. Are you an international student or love hanging out with students from other cultures? If so, you will want to be a part of XAi. 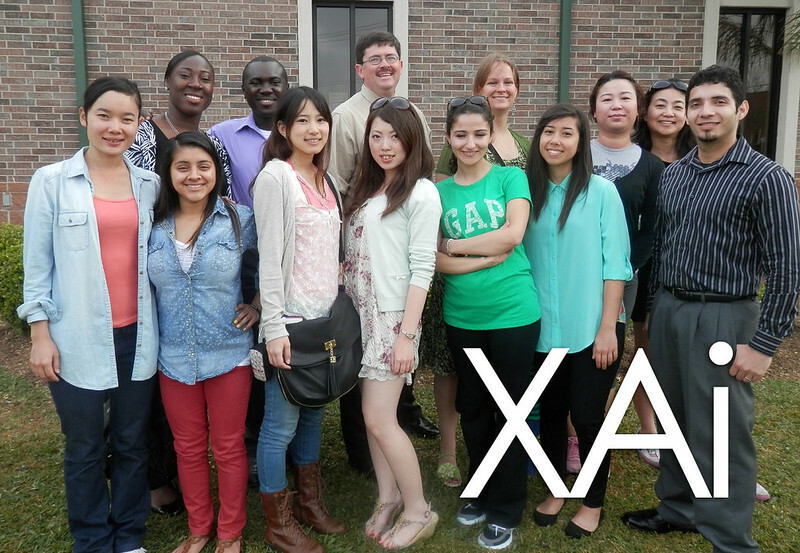 XAi is a gathering of international and American students who meet regularly to discuss our unique cultures, share a meal together, study the bible and make new friends! Let us know if you’re interested!